After six years of advocacy to the California state legislature, a bill to ban plastic bags was signed by Governor Jerry Brown in September 2014. Unfortunately, due to the political maneuvering of the big plastics industry, the bill was stalled and will be put on the ballot as a referendum. 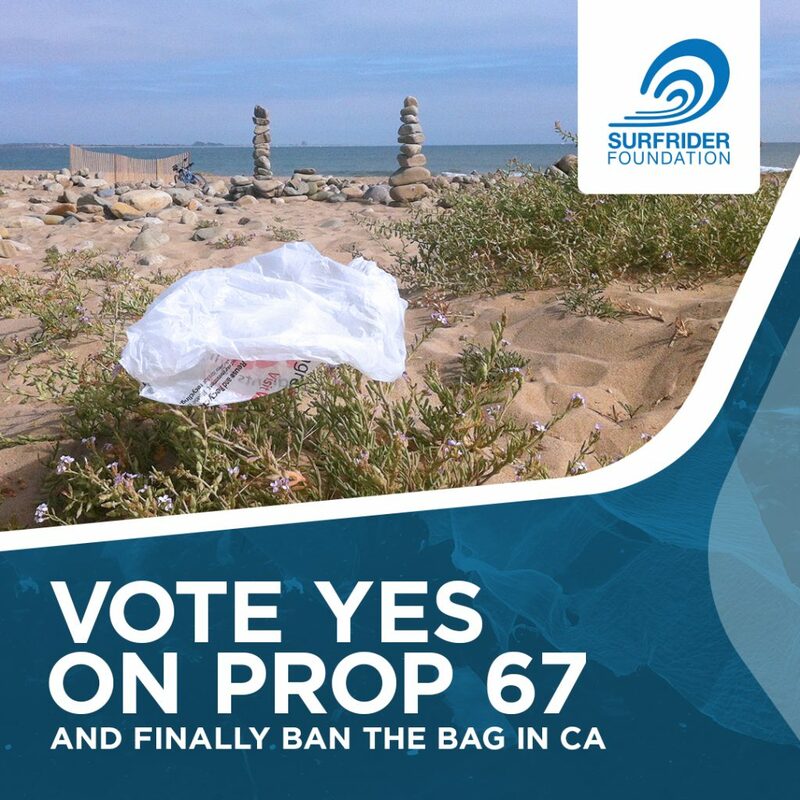 The California voting public will now be asked to a reaffirm this bag ban legislation by voting YES on 67 this November. Click Here to sign the pledge to Vote YES on 67 and share it with your friends and family to help finally ban disposable plastic shopping bags across California! Would you like to do more? Click here to check out the upcoming events and volunteer opportunities to promote the YES on 67 campaign for a statewide plastic shopping bag ban. On Monday Oct 17th we are hosting a fun phone banking event with food, drinks and prizes then on Thursday the 20th we will be handing out free reusable bags as part of Reusable Bag Day! Recent research tells us that there could be more plastic than fish in the ocean by 2050! We see single-use plastic items, including the easily littered plastic bags, polluting our beaches and ocean. Marine plastic pollution is also extremely harmful, and sometimes fatal, for marine life. Plastic bags have an easy solution with reusable bags so this plastic bag ban is a great start at stopping the plastic waves of pollution entering our ocean and impacting wildlife.